Looking for that special last minute gift for Mom? 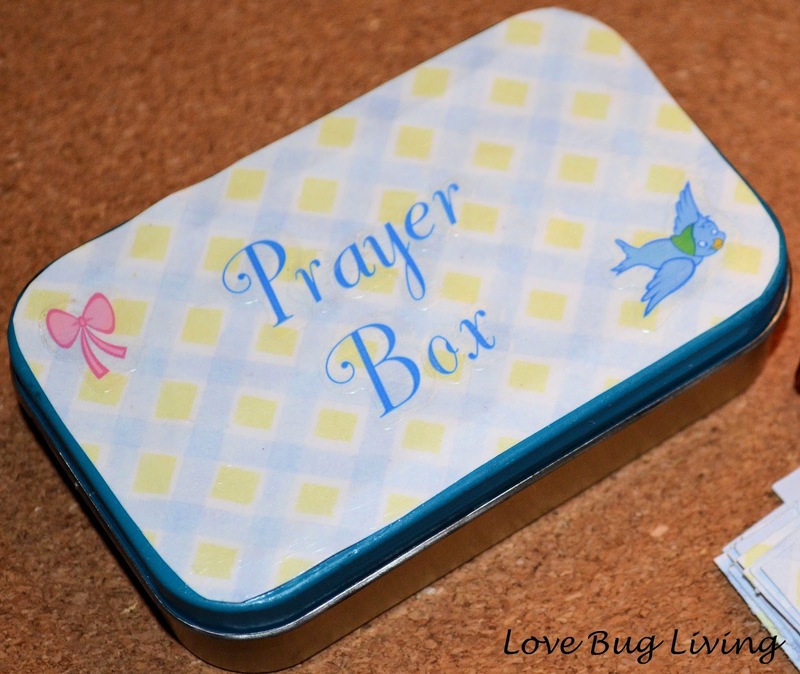 Make her a Prayer Box for her purse upcycled from an Altoids tin. You will need an empty Altoids tin, Mod Podge, a foam brush, scrapbook paper, and stickers (or super neat handwriting). Trace and cut three pieces of your scrapbook paper to fit the top, inside lid, and bottom of your tin. Your paper can be matching or just coordinating. I went with coordinating prints in similar colors. Use your foam brush and paint a layer of Mod Podge and attach your paper pieces. 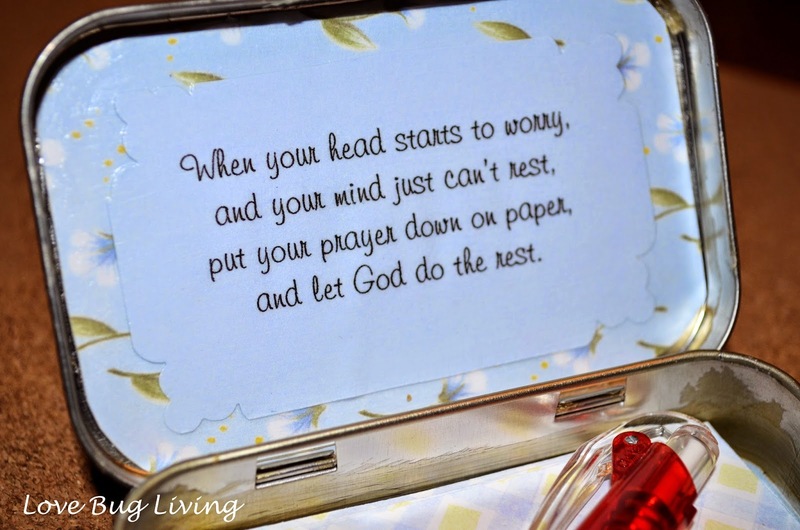 Allow to dry and paint a layer of Mod Podge on top of your paper. Allow to dry and repeat until the pieces are well attached. and let God do the rest. Glue your message to the middle of your inside lid. Use your foam brush to Mod Podge the message in place. I used small stickers to decorate the front of my Prayer Box as well as letter stickers. 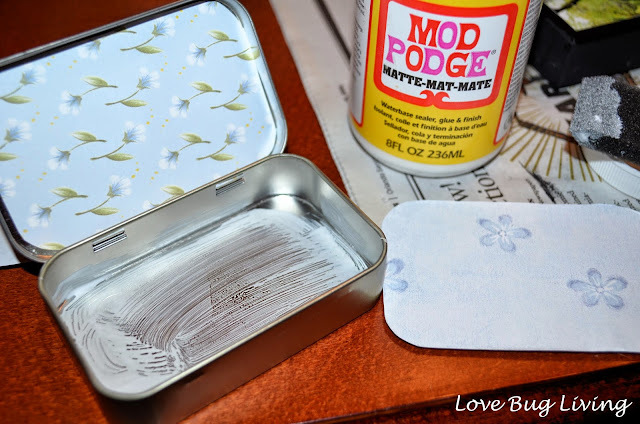 Mod Podge another layer over the top of your stickers to keep them in place. Don't have stickers? 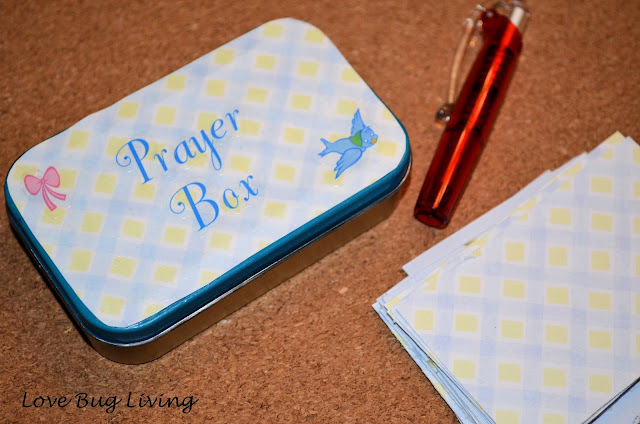 Use your super nice handwriting and a marker to write Prayer Box on your lid top. Place a small pen and little note cards inside. I cut more of my scrapbook paper to use as notecards. This is a sweet little gift that Mom can carry with her or leave on her bedside table. You could even leave her a little note inside so she will think of you when she sees it.